This page provides links to free information about Tatham history elsewhere on the web. Please contact us if you know of others. This includes some basic details of everywhere in Britain, organised by ‘administrative units’. Tatham is easy to find using the search engine, but you will need to type ‘Wray with Botton’ rather than Wray. The ‘Expert Search’ at the bottom of the page provides a fuller search. A treasure trove of historical sources, created by the Institute of Historical Research. 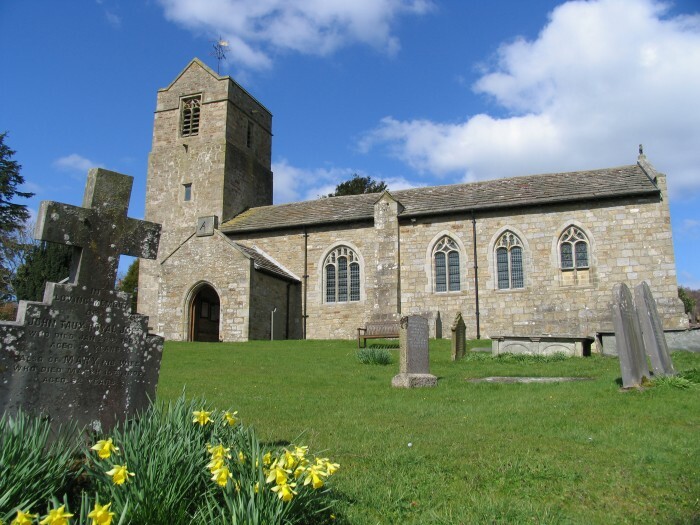 This includes the full text for the parish of Tatham from the Victoria County History of Lancaster vol. 8 (1914). The Society had digitised its entire run of journals from the 1840s to 2000. These include articles on all aspects of Lancashire history and can be searched by author, subject, issue etc. 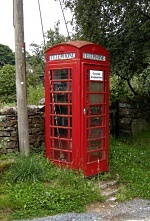 The listed houses, barns and other structures (including Lowgill phone box) with full descriptions, maps, Google Street View, and air photos. Each also has a photo gallery; most galleries are empty at present, but the website has a simple facility for adding them. Botton Head appears in the section on Wray-with-Botton, and the Cross of Greet under Easington. This is a "point in time" photographic library of England’s listed buildings. The Tatham photos were taken 2004-2007 - mostly on dull winter days - and are generally unflattering. A simple search on "Tatham" includes a number of "non-Tatham" items at the start and end; scroll down to get to the first genuine Tatham photo. The Dry Stone Walling Association is creating a photographic archive on-line, starting with North-West England. It includes some examples in Tatham. If you are a ticket holder for Lancashire Libraries, you can access the British Library Newspapers site which now contains the entire contents of the Lancaster Gazette from 1801-94, searchable by word. (Other newspapers of local interest are Liverpool Mercury, Preston Chronicle, Manchester Times and Leeds Mercury). Click here for detailed instructions on using the facility. So much available here that summary is impossible, so you'll have to look for yourself! 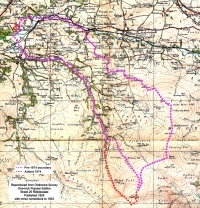 Ordnance Survey One-Inch Popular Edition, published 1924 with minor corrections to 1933. This user-friendly facility is primarily intended as a means of providing up-to-date geographically based information about the county, but also provides some old mapping, including OS First Edition six-inch (1:10,000) from c. 1840, OS First Edition 24-inch (1:2,500) from c. 1890, and air photos from the 1960s. This is not old mapping - quite the reverse! But LIDAR does make old earthworks and structures very easy to spot. National coverage is partial, and some parts of Tatham have not been surveyed, but those that have been are worth studying - the Roman road is a good feature to start with. The map provided by the link above has no labels or search facility, but you can click here to see exactly where you should zoom in to find Tatham. If you "get lost", you can discover where you are by left-clicking any point on the map; this will give you the grid reference and, more usefully, a "Geohack" link. Click that link for a large menu of maps, any of which will show the same point highlighted; best choice is probably, under "Great Britain", Bing Maps UK/OS Maps. A genealogical website with details of where some relevant sources are held. Church of the Latter Day Saints genealogical resource with searchable worldwide resources. For England includes census 1841-1911, births, marriages and deaths since 1837, parish registers etc. It takes a while to get the hang of it but is worth it! Includes all births, marriages and deaths 1837-1974 for the entire country. Tatham was in Lancaster registration district till 1869 and Lunesdale thereafter. 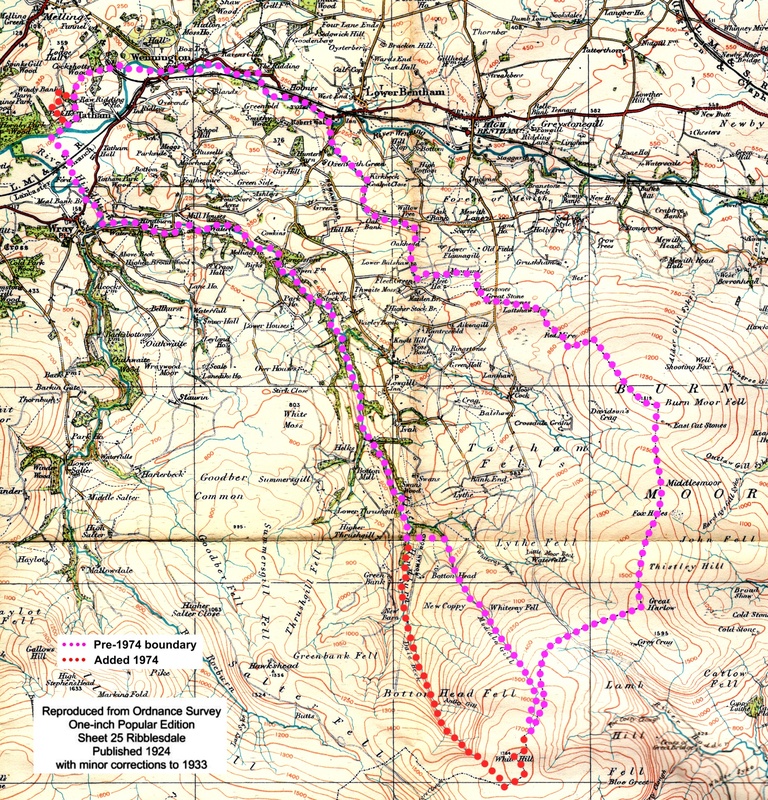 Bentham area was in Settle until 1946 and in Ewecross from 1947. Probate Calendars can be searched easily here by surname. Although these are subscription resources, they can be accessed for free in public libraries in Yorkshire and Lancashire. They include world-wide data on a variety of topics. A family tree compiled by the Holme family whose ancestors are commemorated in St James’s churchyard. They had connections with Raw Ridding and Mealbank. Like many families in the area, they also had West Indian links and Canadian links in the late 18th and early 19th centuries and many members died overseas. This contains a lot of detail about the Thornbers and other local families they intermarried with. 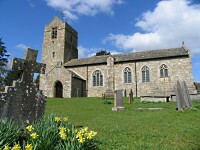 A Church of England database giving information on clergy up to the start of the 19th century. It lists those who served in each church. Click "View" for more details of their service in the church, or on the person's name to see where else they were known to have served. 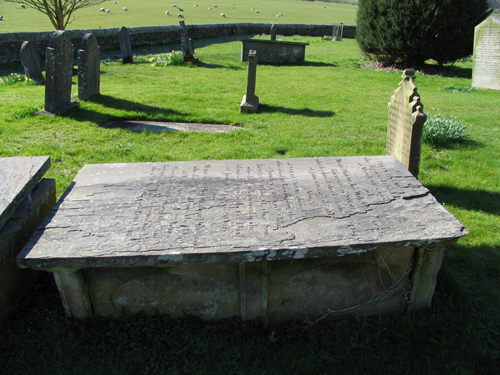 A basic list of names from the gravestones. A printed guide is available in the church. The society has images of many of the graves. George Holden was curate at Tatham Fells in the late 18th century and lived at The Green. Based on information collected in Liverpool on the times and heights of tides in the 1760s he calculated and published accurate tide tables for the port from the early 1770s. The secret of how this was done remained within the family for three generations. These are excellent articles about him, his family and his work. Woodworth, P.L. 2002. Three Georges and one Richard Holden: the Liverpool tide table makers. Transactions of the Historic Society of Lancashire and Cheshire, 151, 19-51. Woodworth, P.L. 2003. Some further biographical details of the Holden tide table makers. Proudman Oceanographic Laboratory Report No. 58. 20pp.